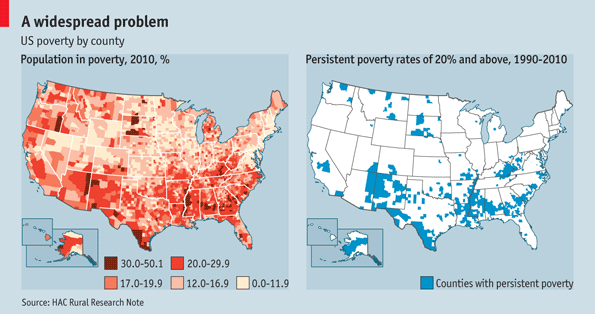 When comparing quality of life conditions between advanced Western capitalist nations and individual states within the U.S., a growing amount of data shows that those which are the most extremely conservative and religious are very often the most violent and plagued with far greater social problems in more than a dozen categories like overall crime, economic mobility, infant mortality, overall poverty, environmental abuse, teen pregnancy, incarceration, life expectancy, murder, education, , childhood poverty, healthcare efficiency, “best-for-business” conditions, average worker to CEO pay ratio, paid maternity leave, gun violence, obesity, income inequality and minimal worker’s benefits. Extreme liberalism, such as with revolutionary communism, also seriously detracts from quality of life. This ideology has had a very weak following around the world since the late 20th century. Extreme social and economic conservatism, in contrast, have been increasingly popular among a large segment of the American population during the past three decades. Contrary to the repeated slogans of asserted “self-evident truths” within my very conservative upbringing, I’ve discovered that the economic, historical and sociological data reveal that the best answer is a moderate combination of conservatism, liberalism and libertarianism. 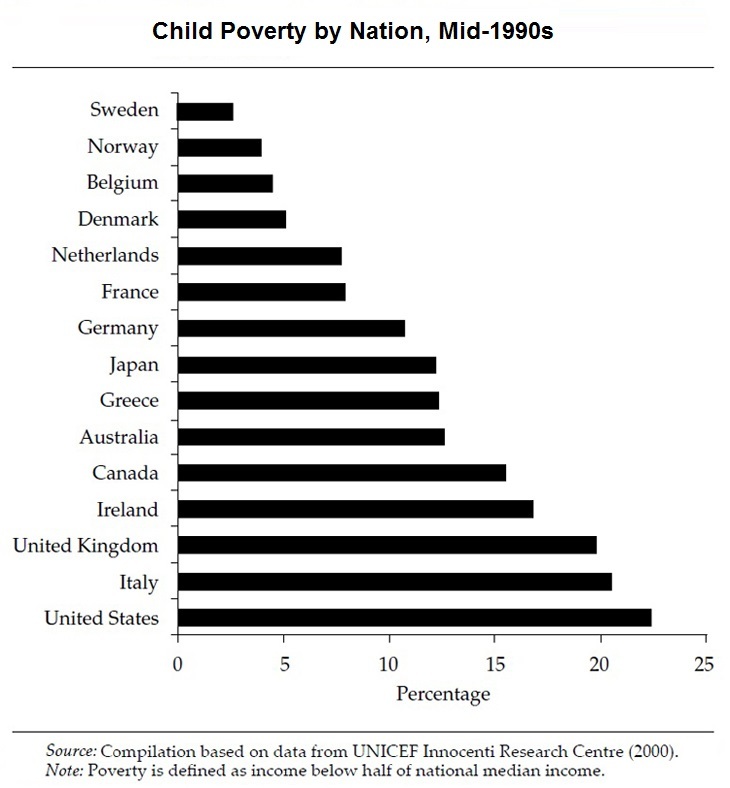 See in the statistics below sizable evidence of poor performance from the extreme conservatism that has taken over the United States since the early 1980s, in contrast to moderate Republican policies like those of Dwight Eisenhower, Richard Nixon and Gerald Ford. The party has gone so far to the right that even Reagan couldn’t get elected today, and he was considerably less liberal than the last three presidents in the GOP. The damage that extreme liberalism inevitably brings isn’t the political challenge facing us today because the world has been moving increasingly further away from it since at least the late 20th century. What contemporary Republicans consider to be liberal in the typical 21st Democrat is moderate by global standards and was basically normative for both parties in the United States during 1950-70s. For example, the policies and values of the pro-business Conservative Party in Britain, arguably the least liberal major political group in Western Europe, is much like our Democratic Party. Extreme conservatism significantly drives much of American political and economic life today and America strongly influences much of the world. Among the moods and philosophies of this movement are the long-term effects of a Cold War anti-communism that inaccurately portrayed socialism as the local boogieman or even communism-in-disguise. Socialism became a dirty word. Several generations of mainstream Americans have considered socialism inherently destined to fail in any context, yet today every nation in the world maintains in widely varying degrees an economic system of integrated socialism and capitalism. This includes the five remaining communist countries originally and deeply influenced by Russia, a society that has made many adjustments in recent decades so capitalism might continue to grow: Vietnam, China, Laos, Cuba and North Korea. 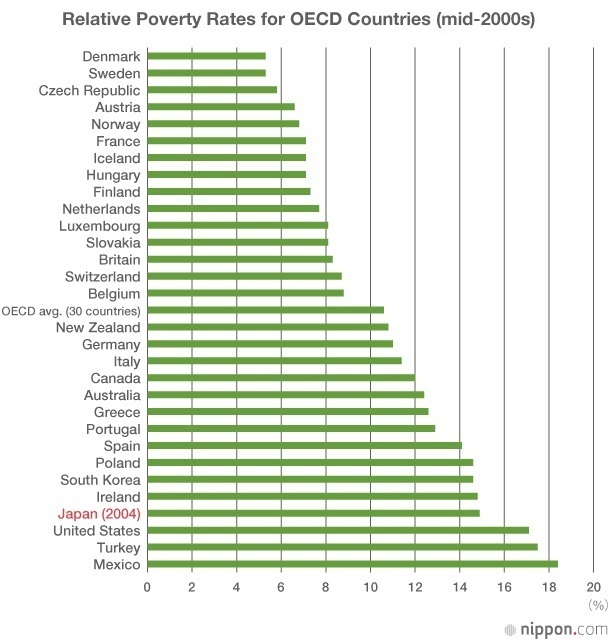 The fact that the United States and Britain (often the most conservative and religious European country) rank so badly regarding social ills ought to inspire self-reflection in the face of the empty American proverbs proclaiming that socialism and secularism are automatic and regular destroyers of life. One can easily point to a vast amount of destruction that capitalism has brought upon humanity and the ecosystem. But, if we critique capitalism honestly and comprehensively, a recognition of the many astounding and practical benefits that come from it will be necessarily admired. The dark sides of both systems can be largely kept in check if they are implemented in ways that require them to work together toward unleashing their strengths while simultaneously correcting for each other’s substantial limitations. When I use the description “advanced Western capitalist nations”, I’m referring to these kinds of societies: Norway, France, Denmark, Australia, Switzerland, United Kingdom, Netherlands, Belgium, Sweden, Canada, New Zealand, Finland, Germany and Sweden. 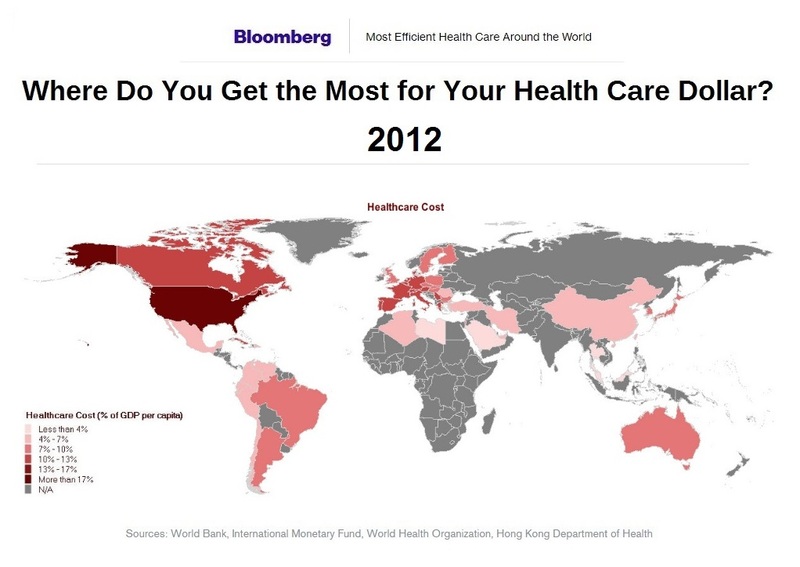 In comparison to the United States, these countries much more comfortably embrace the use of more liberal policies such as universal social programs and more systematic regulations to protect themselves and the environment from the common excesses, inherent instability and periodic destructiveness of capitalism, while harnessing its many positive qualities to produce innovation and prosperity. Americans especially need to know and admit that socialism and capitalism work very well together. Each country will decide on a different specific format and ratio between the two elements (50/50, 70/30, 40/60, etc. ), but citizens need not fear either big business or government – as long as both are integrated and regulated in effective and reasonable ways. The same general observation of the inherent destructiveness of extremist beliefs can be discovered on the spectrum between types of secularism and religion (conservative and liberal). The developed nations and US states that are more secular and moderately liberal tend to have far lower levels of social ills. Why? Causation is always very difficult to pinpoint or prove in history and sociology, but robust (and especially interdisciplinary) correlative data found to encompass long periods of time in various scenarios and contexts are worth taking seriously. If the same basic philosophies and types of policies are dominant in separate societies that achieve very similar results over decades or even centuries, it likely means there is something closer to a true cause and effect relationship. Consider the more than 100 links to statistics below. I have found these examples to be generally representative of the various data sources on each major subject. Many charts are included at the bottom of this article. 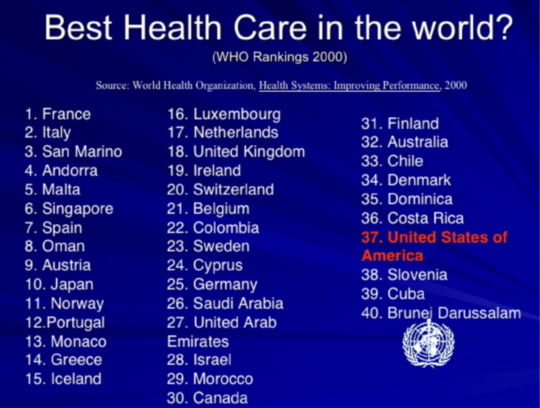 On the Quality of Life Index for 2010, the United States ranked 33rd overall, 39th in health, 24th in education, 17th in wealth, 15th in democracy, 77th in peace and 38th in environment. 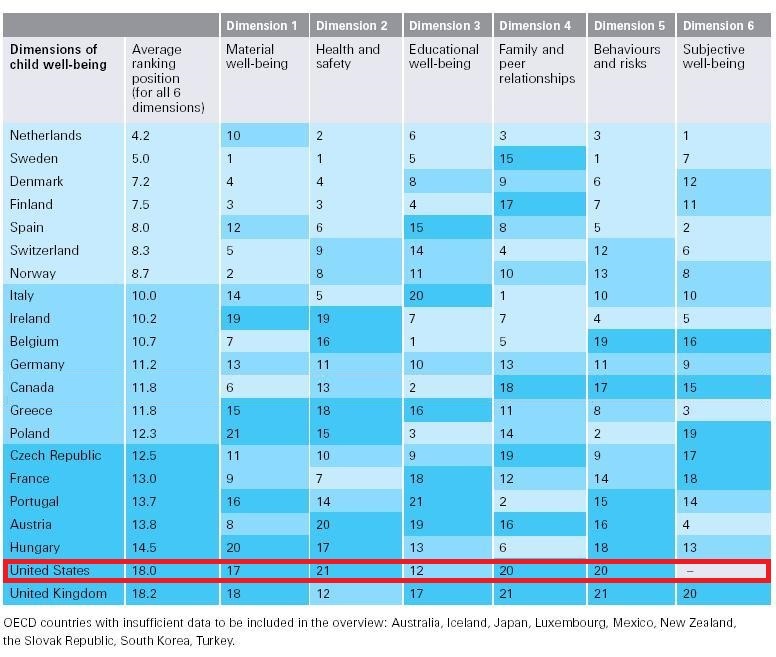 Results from a 2016 study comparing nations on quality of life by U.S. News & World Report ranked us significantly higher, at 14th, better than most but still behind more than a dozen more liberal nations. 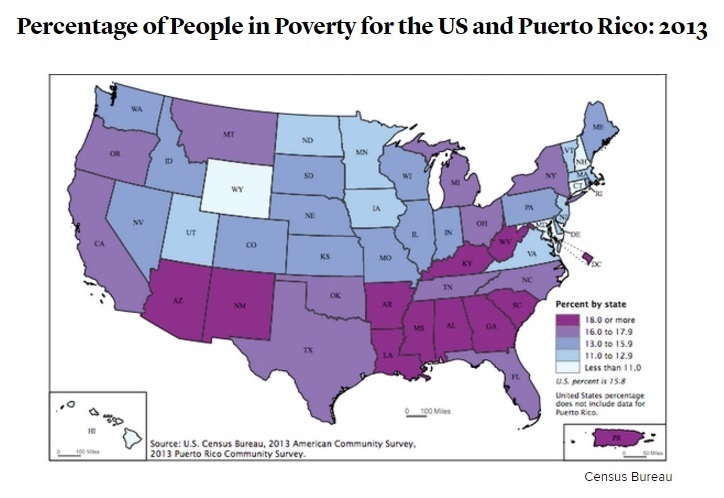 A very large 2014 study by the Organization for Economic Cooperation and Development showed quality of life conditions are very much worse in the conservative Southern states. 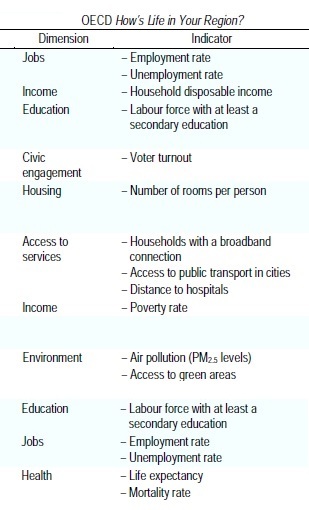 The 362 regions of the OECD’s 34 member nations were compared in categories of education, income, health, jobs, environment, access to broadband, civic engagement, housing and safety. The top 5 were revealed as New Hampshire (77.6), Minnesota (76.2), Vermont (74.8). Iowa (72.9) and North Dakota (72.4). And the bottom 5 turned out to be Mississippi (50.7), Arkansas (51.3), Alabama (51.3), West Virginia (52.2) and Tennessee (52.9). When world crime rates from any year in the past few decades are examined, especially in contrast with other well developed countries, America stands in a deplorable condition. The trend is very high by percentage of population (2012-2015), showing a violence rate that surpasses all other advanced nations. 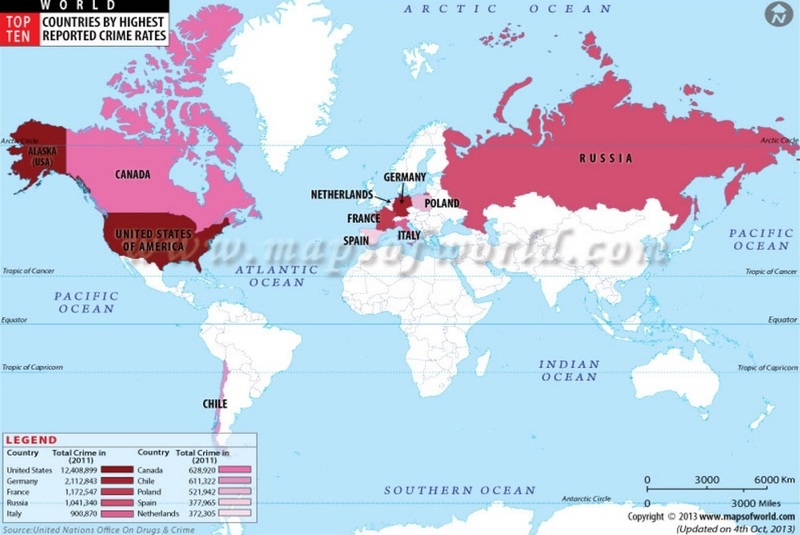 Data from 2011 shows that with crime defined as “formal contact with the police and/or criminal justice system [which] may include persons suspected, or arrested or cautioned”, America ranks #1 (12.4 million) by a large margin over Germany (2.1 million), France (1.17 million), Russian Federation (1 million), Italy (900,000), Canada (600,000). As a general exercise , we can compare that to the absolute numbers in population size for the same year to see a crime pattern: America – 3.97%, Germany – 2.56%, France – 1.79%, Russian Federation – 0.69%, Italy – 1.51%, Canada – 1.74%. FBI data shows the U.S. crime rate has followed the overall global trend in declining violence, such as how it’s fallen by half since the early 1990s. 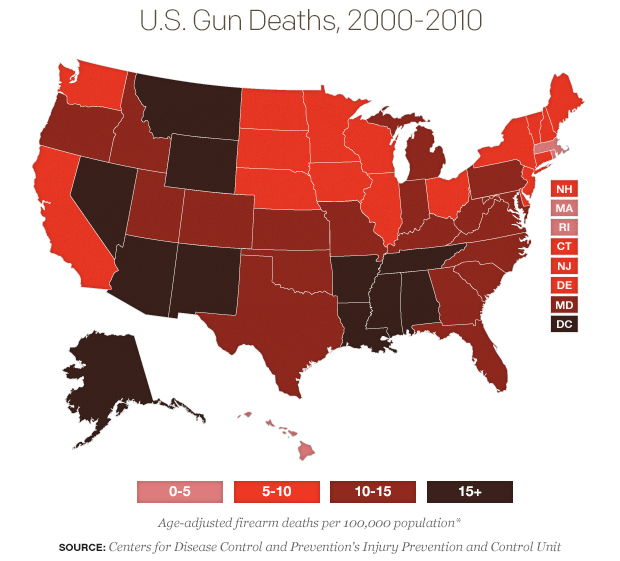 Yet the conservative states have been consistently been less safe and decidedly so. Research on global murder rates by the United Nations Office on Drugs and Crime pulled from various 2008-2012 statistics and found that the U.S. ranked as the 98th safest out of 218 nations. The rate is 3.8. Consider that nations with much less technological sophistication, educational opportunities, economic power and other advances of modernity such as Indonesia (0.6), Algeria (0.7), Sri Lanka (3.4), Iran (3.9), Nepal (2.9), Bangladesh (2.7), Libya (1.7), Chile (3.1), Taiwan (3.0), Jordan (2..0) and Bahrain (0.5) are safer to live in. The rates of homicide in other advanced Western societies such as Canada (1.6), Australia (1.1), Italy (0.9), New Zealand (0.9), Japan (0.3), Israel (1.8) and Germany (0.8) are virtually all much less than half that of the United States. 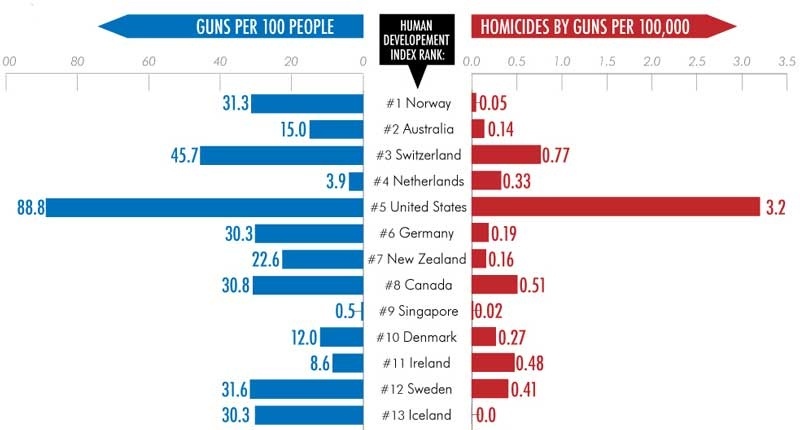 Murder by firearm rates are far higher in America than all other developed nations – note that gun ownership rates are significantly higher here. 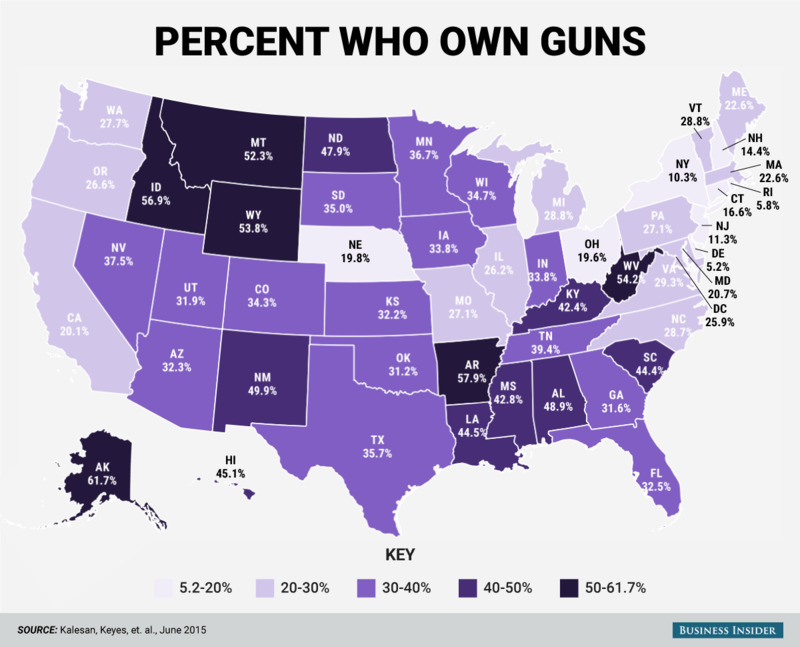 Murder by firearm rates are generally far higher in Republican states – note that gun ownership rates are significantly higher here. 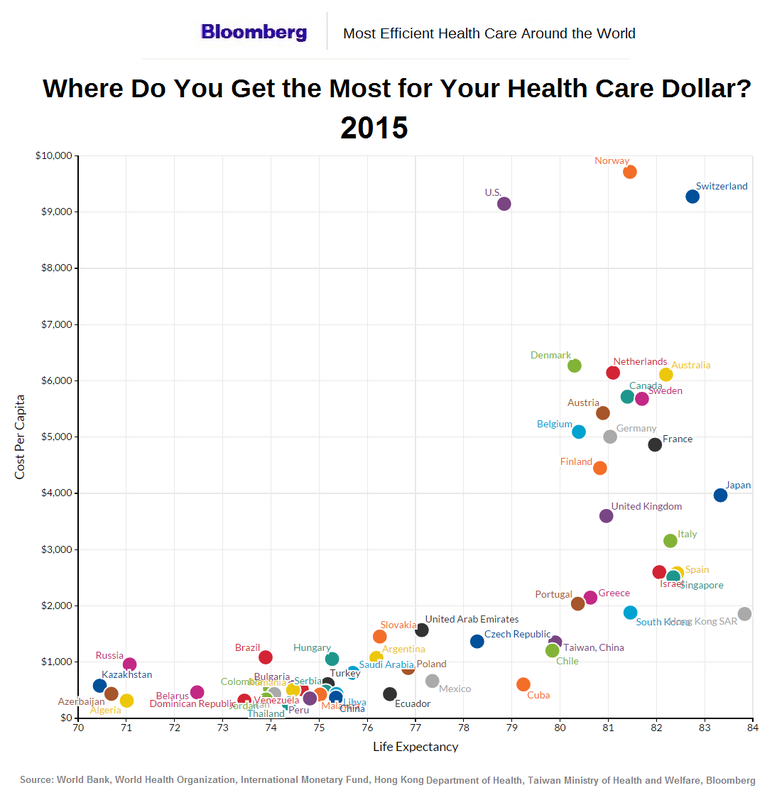 Healthcare efficiency in America was ranked 48th in 2008, 46th in 2012, 44th in 2014 and 50th in 2015 through studies by Bloomberg. It’s been a long term problem, as evidenced by our 38th position in a comparison study by the World Health Organization in 2000. 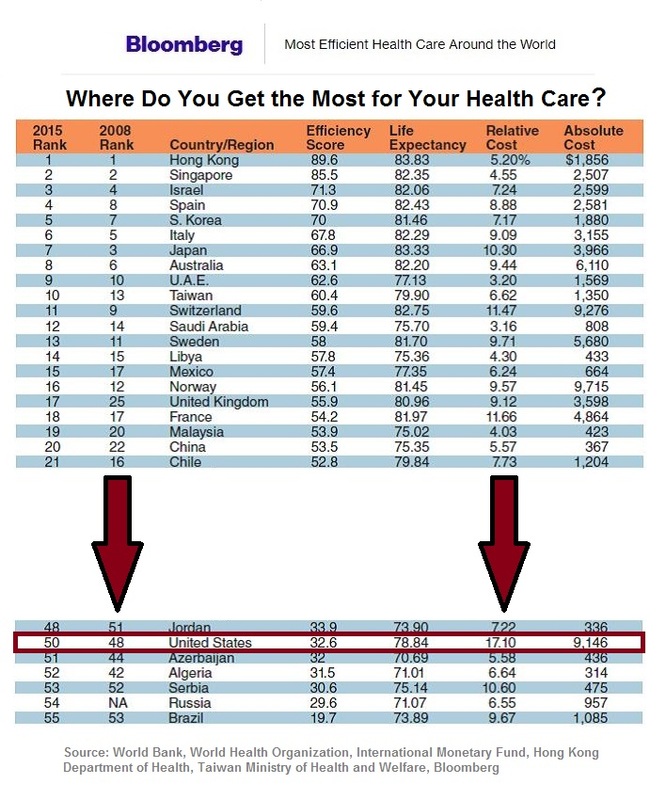 The Huffington Post remarked about the 2012 numbers, “It’s remarkable how low America places in health care efficiency: among the 48 countries included in the Bloomberg study, the U.S. ranks 46th, outpacing just Serbia and Brazil. 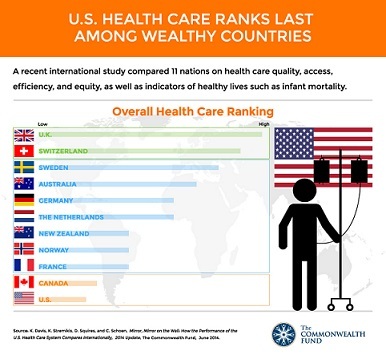 Once that sinks in, try this one on for size: the U.S. ranks worse than China, Algeria, and Iran.” Even though our system is the most expensive, a 2013 study by well-respected private healthcare policy organization, the Commonwealth Fund, rated the United States last overall out of 11 total industrialized nations evaluated in categories of “health system quality, efficiency, access to care, equity, and healthy lives”. 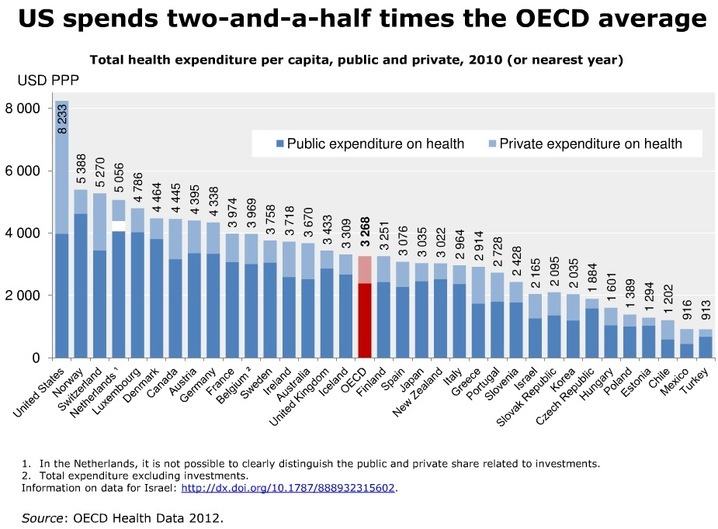 PBS remarked, “At 17.6% of GDP in 2010, US health spending is one and a half as much as any other country, and nearly twice the OECD average.” And per capita, “US spends two-and-a-half times the OECD average.” Still, we drastically lag behind the healthcare efficiency level of approximately 1/4th of the societies on Earth, including all other advanced Western capitalist nations. 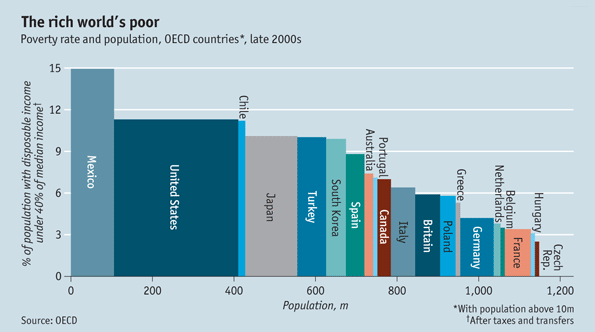 America’s incarceration rate is the 2nd highest in the world out of 223 countries. 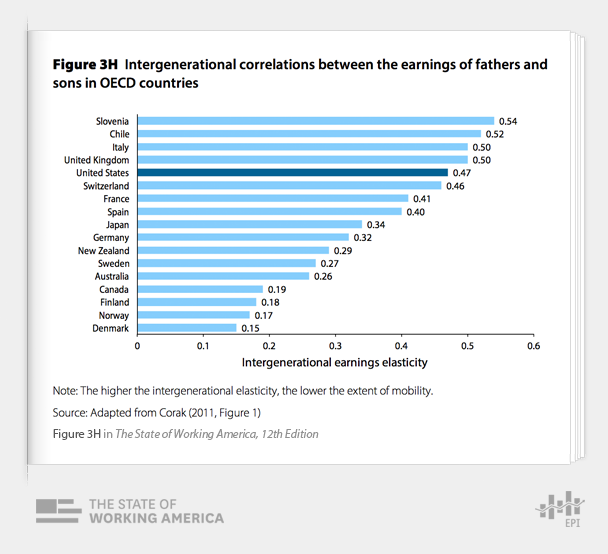 Economic mobility is worse in America than nearly a dozen other Western capitalist nations. 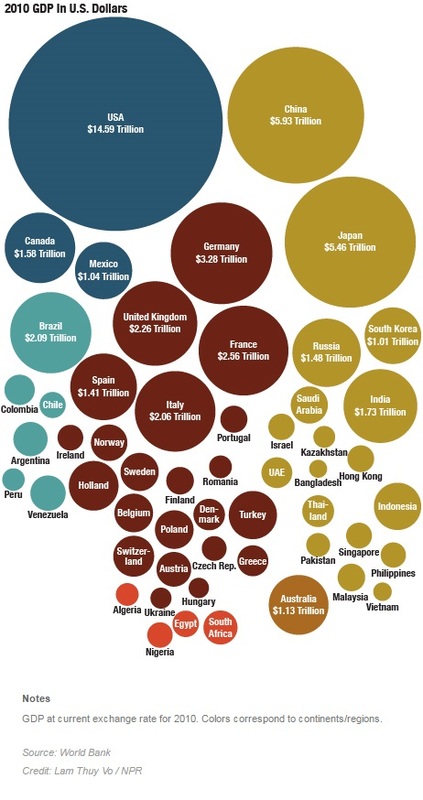 Foreign aid given as a percentage of the national budget is thought to be as high as 28% in the minds of many Americans surveyed and it’s often proposed that this is due to the elements of generosity intrinsic to our conservatism or traditional religious values. Actually, the amount hovers around 0.18%, globally ranking near 20th year after year, far behind more liberal and secular nations like Denmark, Norway, Sweden and Netherlands which spend 4-5 times as much. In measures of private charity, America tends to do very well, though much of that is to local churches and other local groups, not foreign aid. Forbes examined this and found many nuances that don’t always support the claim of American leadership even in the area of private donations, especially since more liberal nations expect to express their charity through taxpayer provided public services more so than individual giving. 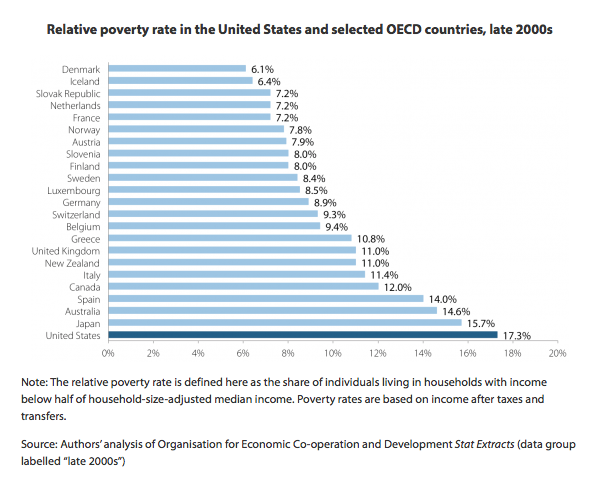 Another relevant factor is that income inequality is generally much more prevalent in the United States than other advanced nations. 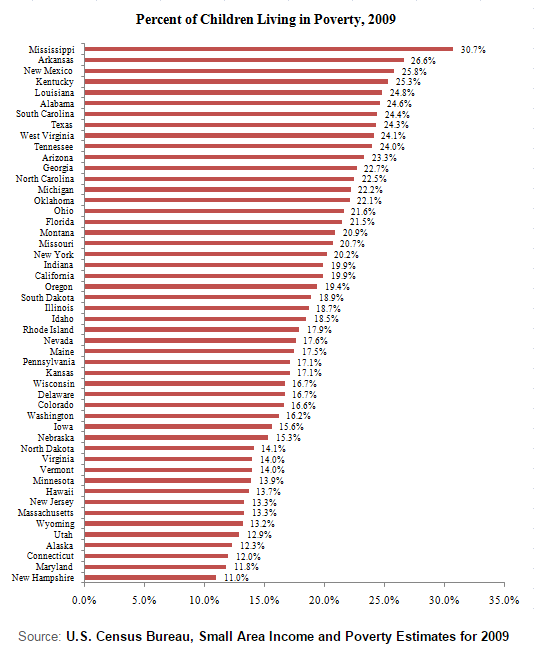 Teen pregnancy rates are far higher in Republican states. 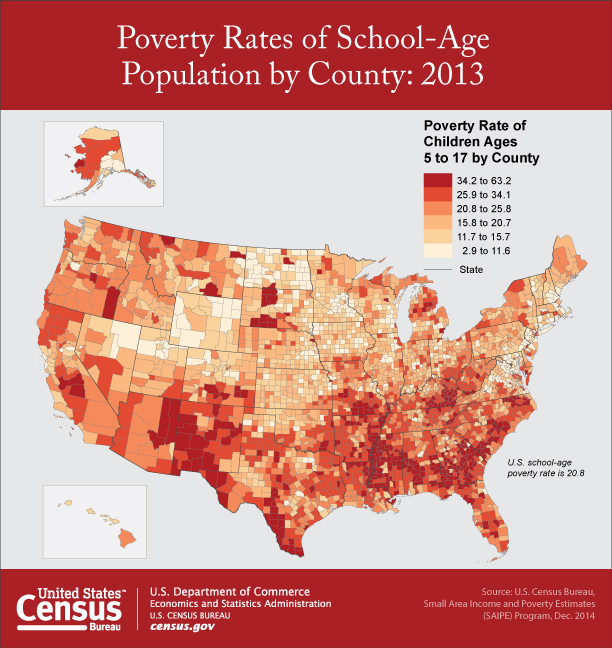 Teen pregnancy rates are far higher in America than at least twenty other Western countries. 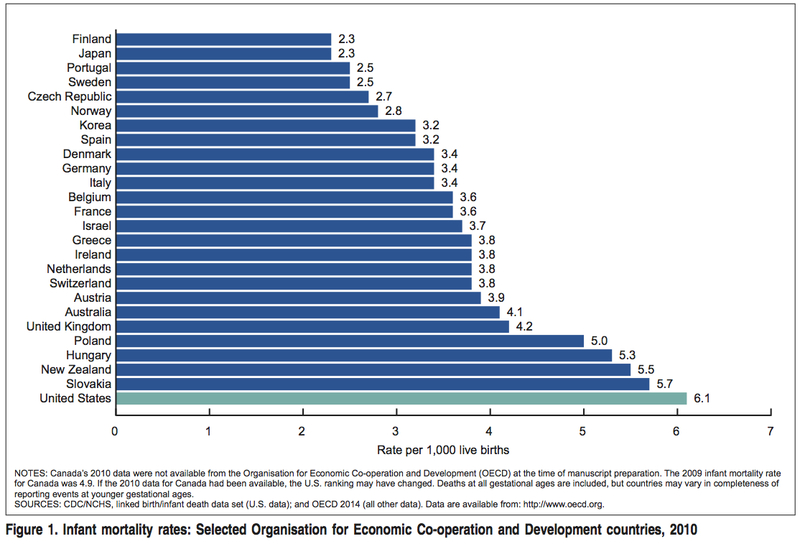 Infant mortality rates are far higher in America than most other industrialized countries. The CIA World Factbook shows we had the 167th highest rate of infant mortality for 2015, out of 224 countries. Our advanced Western peer nations had lower rates. 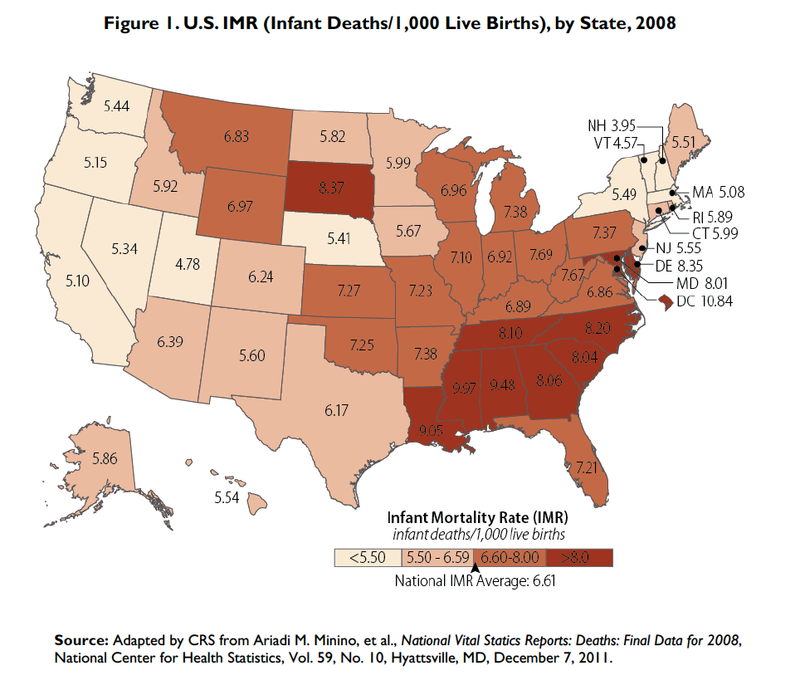 Infant mortality rates are far higher in Republican states. 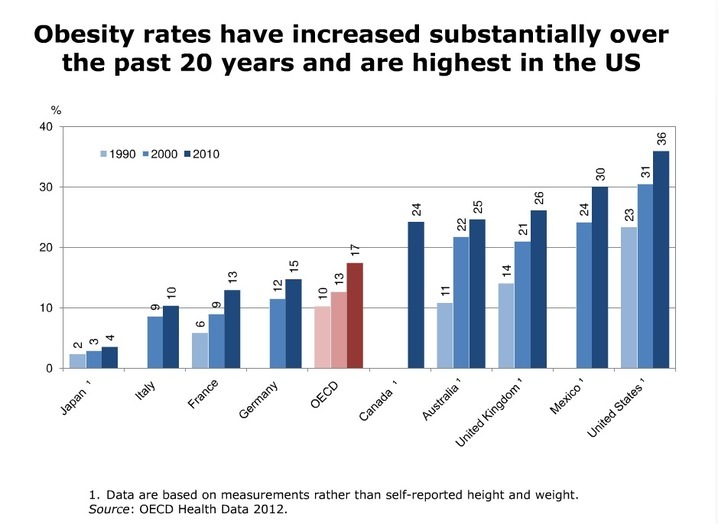 Obesity rates are far higher in America than all other industrialized countries. 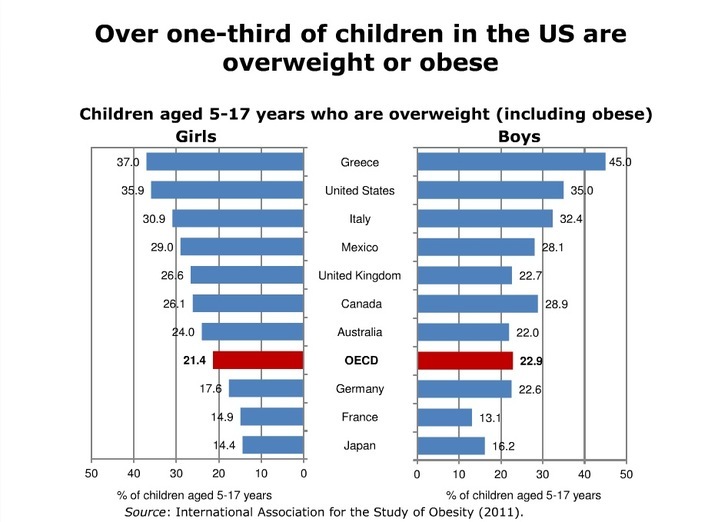 Research published in 2011 showed that “over one-third of children in the US are overweight or obese”, around 35%, while the OECD average was less than one-fourth, at about 22%. Data compiled in 2012 demonstrated that the national rate for all ages had climbed from 23% in 1990 to 31% in 2000 to 36% in 2010 – an all time high. 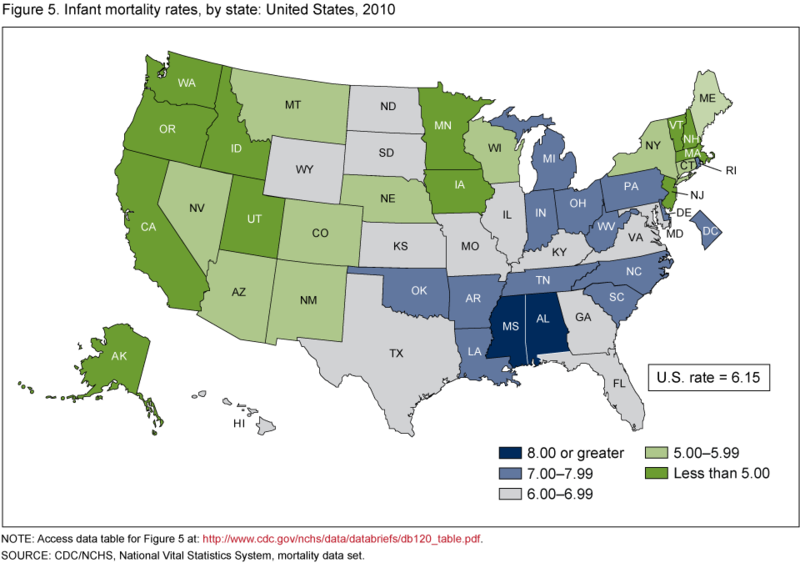 Obesity rates are generally much higher in Republican states. Guaranteed paid maternity leave is not legally mandated in the US, in contrast to every other developed nation. 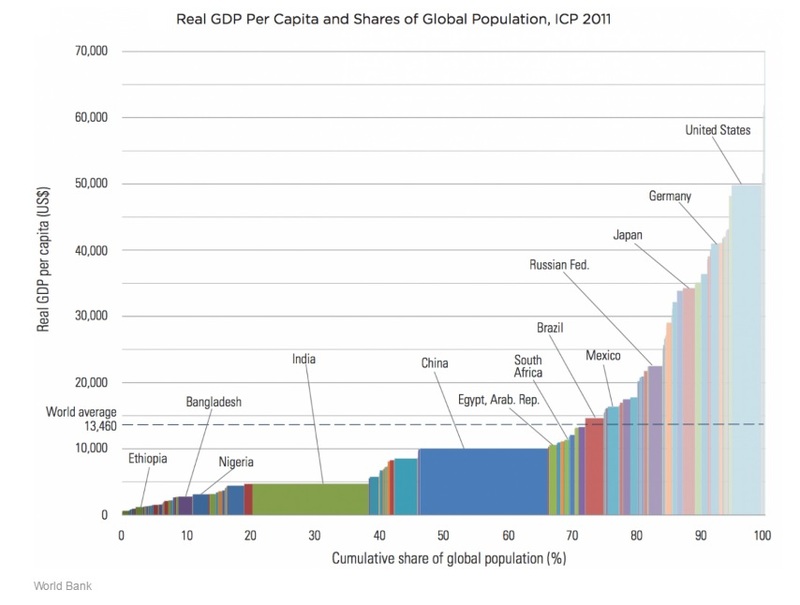 Income inequality is proportionally higher in more religious countries. 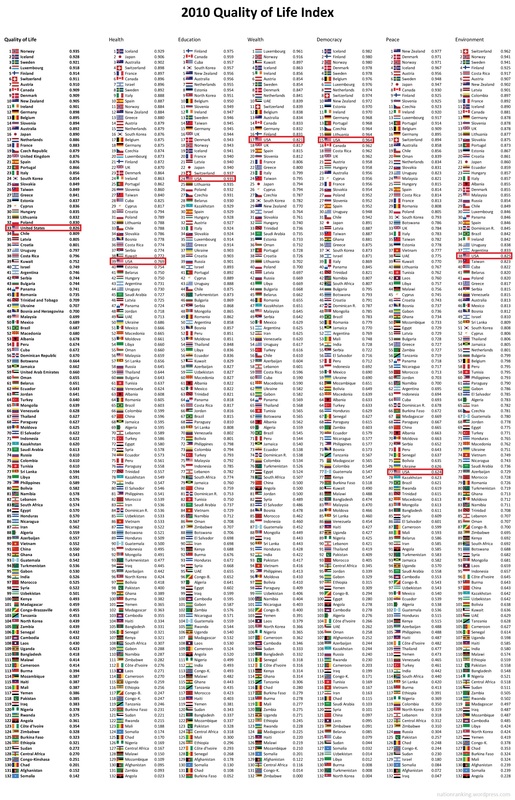 A major academic study of 137 countries in 2011 conducted “a multilevel analysis of countries around the world over two decades and a time-series analysis of the United States over a half-century”. The findings were that “economic inequality has a strong positive effect on the religiosity of all members of a society regardless of income”. The researchers concluded that the results “support relative power theory, which maintains that greater inequality yields more religiosity by increasing the degree to which wealthy people are attracted to religion and have the power to shape the attitudes and beliefs of those with fewer means”. Another investigation that same year of those nations discovered that secularity is correlated with “greater existential security, including income security (income equality and redistribution via welfare states) and improved health”. Reviews by Christianity Today of much related academic research found the same trend. 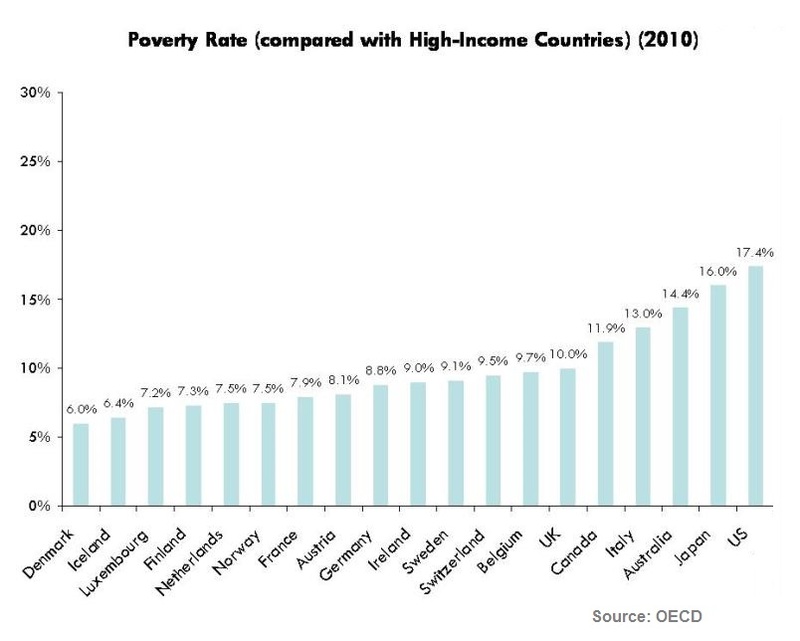 Poverty rates by nation show the United States in a truly lamentable position among the world’s richest nations, 19th in 2010. 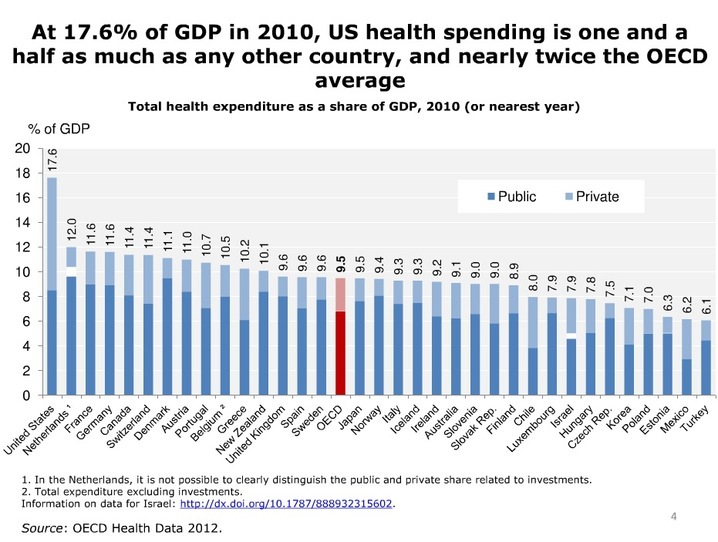 This is especially unfortunate given that we are by far the wealthiest country in GDP. 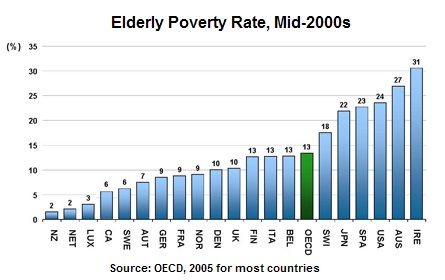 We ranked at the very bottom, under 22 OECD countries, in a study that examined data covering the late 2000s. 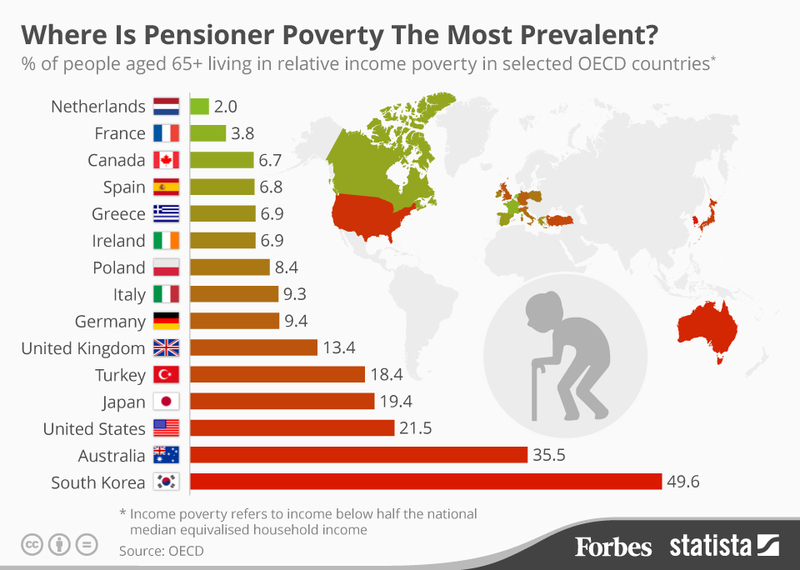 Statistics regarding senior citizens from the mid-2000s situate America 18th out of 20 and in 2015 the rate (21.5) was more than 10 times that of the Netherlands (2.0), greater than 5 times as much as France (3.8) and about 3 times the financial destitution that had occurred in Canada (6.7), Spain (6.8), Greece (6.9) and Ireland (6.9). 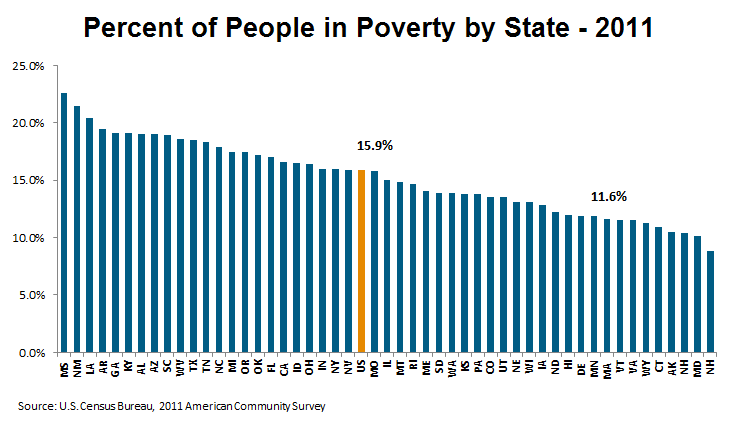 Poverty rates for most of the 10 most troubled states in this category tend to be much more conservative states. 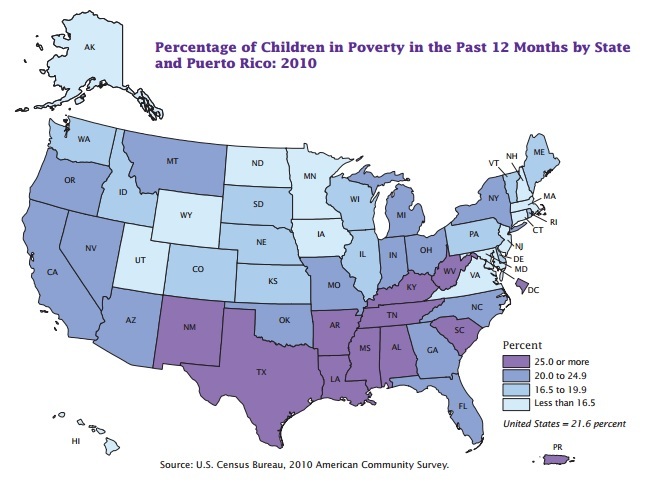 Between 2005 and 2011, high poverty rates spread from their starting position in the central Southern states to reach far beyond that in correlation with the aftereffects of the 2007-2008 financial collapse. 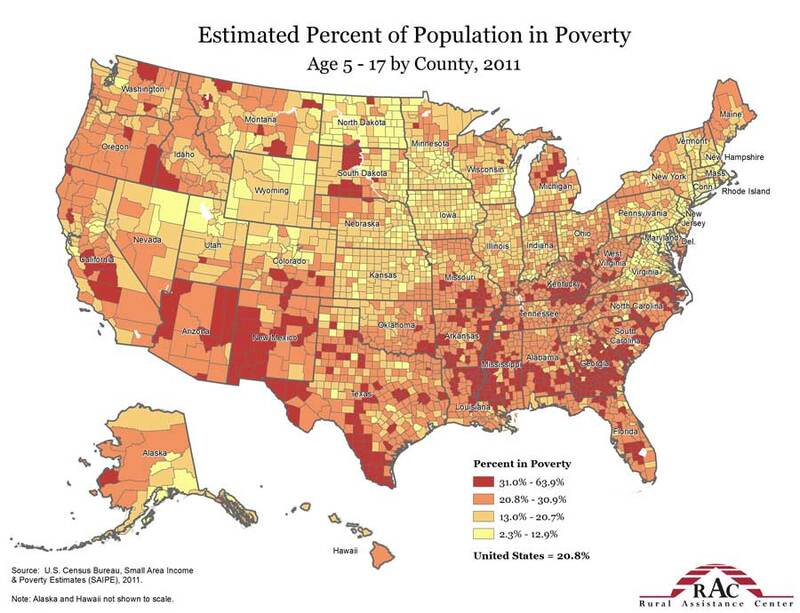 When looking at 1990-2010 combined and averaged, it’s clear that conservative states in general are more likely to be stuck in greater poverty. 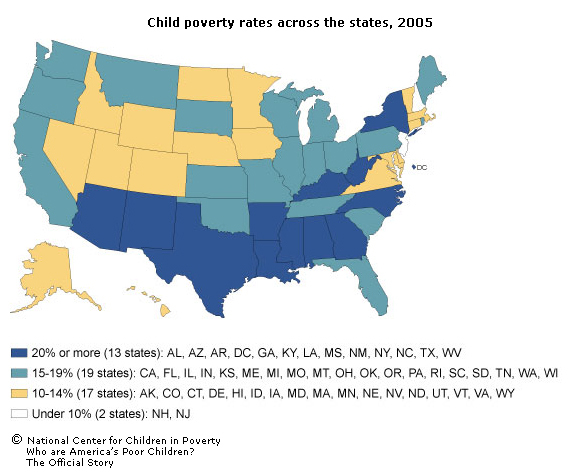 Childhood poverty is at its highest among conservative states. 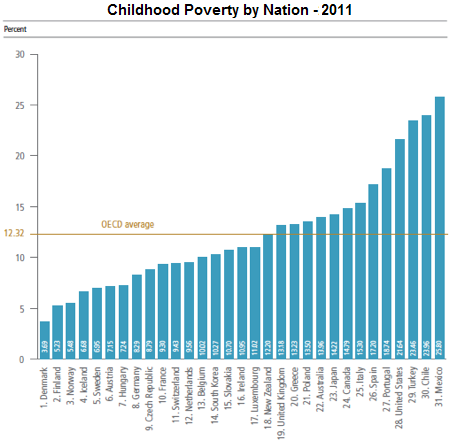 Relevant statistics demonstrated this pattern in 2005, 2009, 2010, 2011 and 2013. 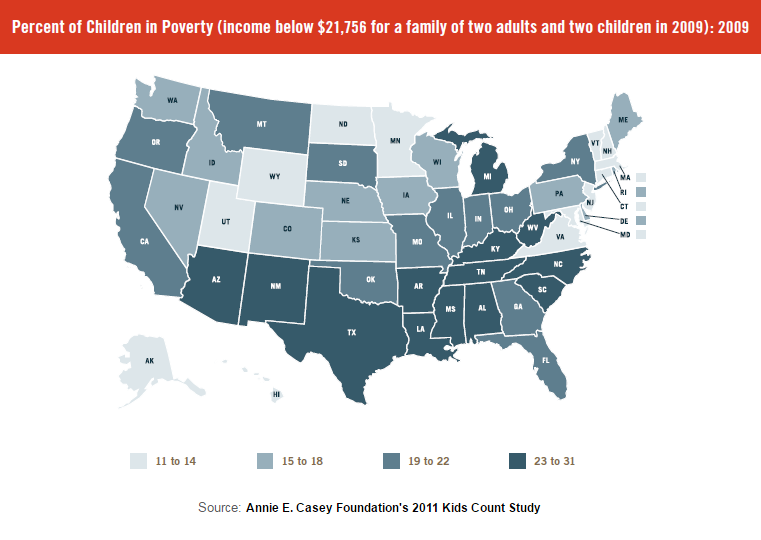 In 2009, as an example, the poverty line for a family of two adults and two children was defined by the U.S. Census Bureau as $21,756 in annual income. 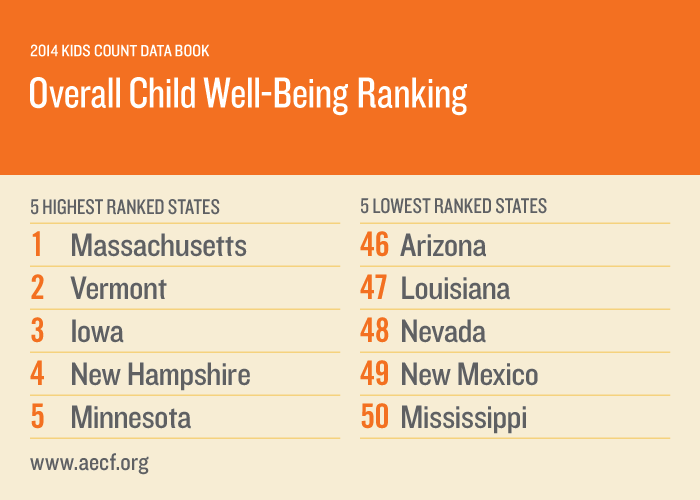 Child well-being measurements are quite low in America and the more conservative states when contrasted against their counterparts. This includes health and safety, educational well-being, family and peer relationships, behaviors and risks, material well-being and subjective well-being. 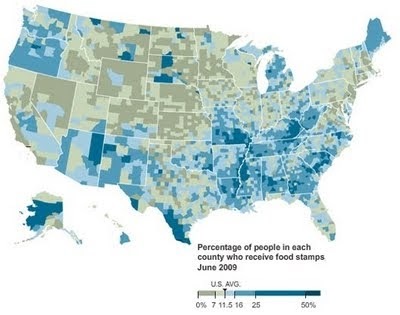 Federal aid and food stamps usage is quite high in many conservative states, places known to staunchly advocate for very limited government dependence. 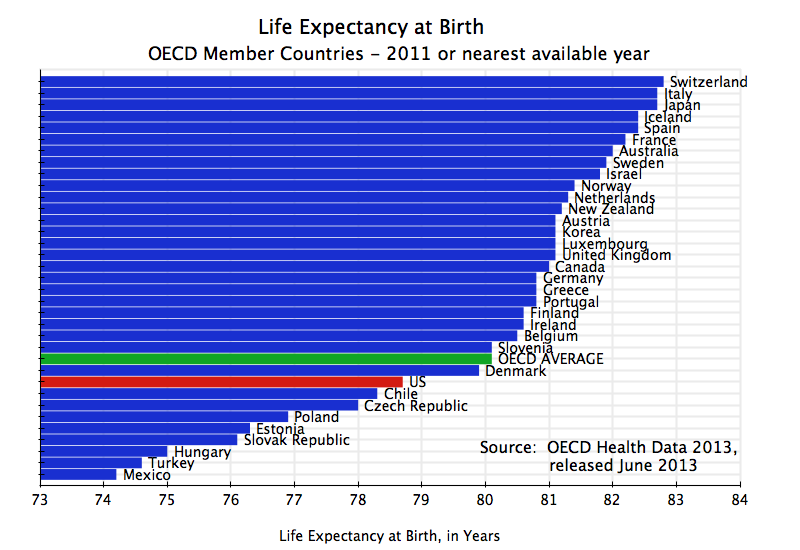 Life expectancy is worse in America than other industrialized nations. Life expectancy is lower in Republican states. 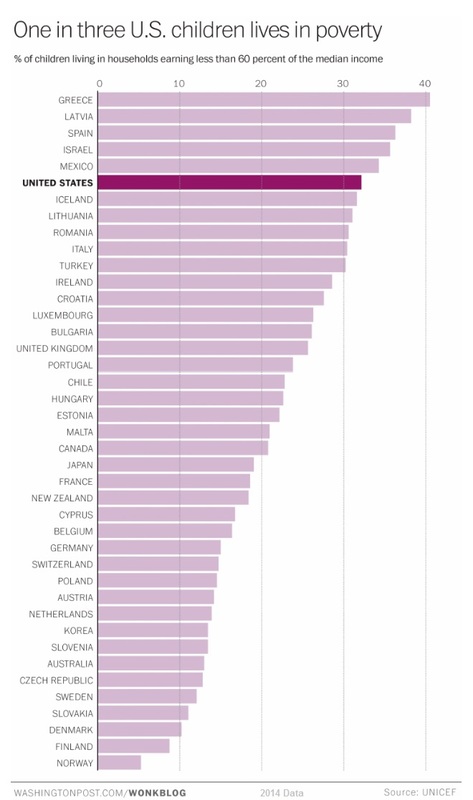 CEO salary compared to average worker pay is much worse in America than in our peer countries. The number of paid vacation days and paid holidays are much lower in America than other advanced societies. Secular societies can function quite well. A book highlighting success in societies with a secular foundation. 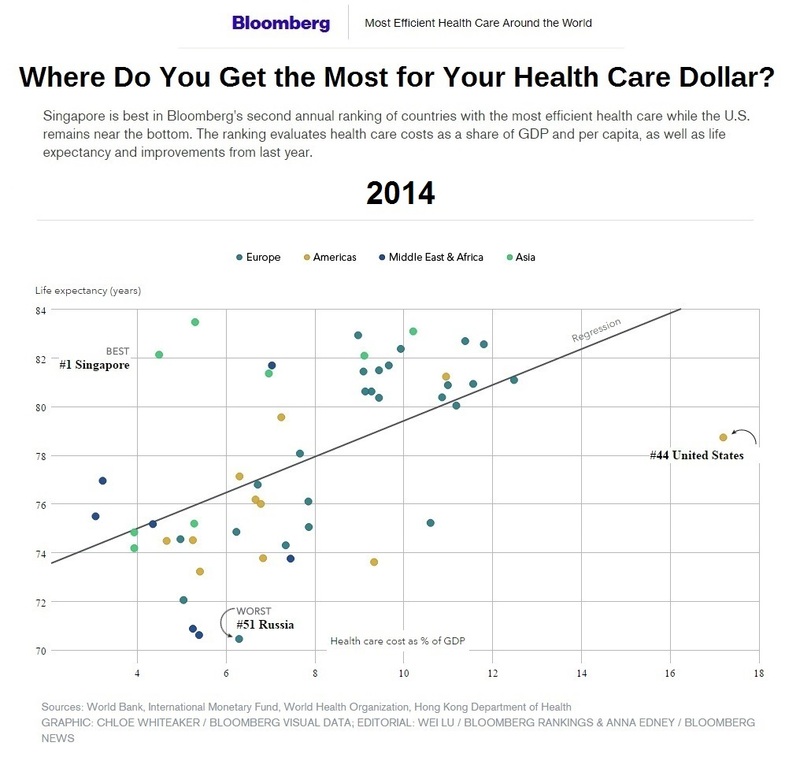 America is often not even close to being the best country for business. 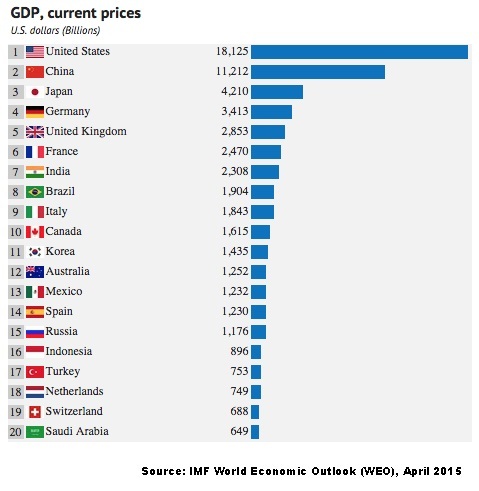 For example, when Forbes evaluated which countries were best for business in 2015, Denmark was #1. This was followed by New Zealand, Norway, Ireland, Sweden, Finland and Canada. By a large measure, they obviously do not agree with Tea Party policies of extreme libertarianism, yet no conservative country is near the top of this “pro-business” list. 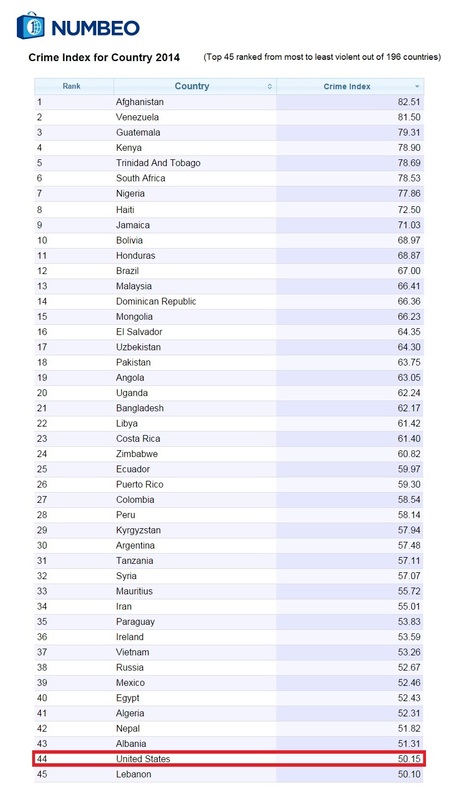 The United States ranks #22. U.S. News & World Report conducted a similar research project in 2016 to find the most “market-oriented countries [that] are a haven for capitalists and corporations”, in which we scored #23 – behind those same types of more liberal advanced Western capitalist societies. 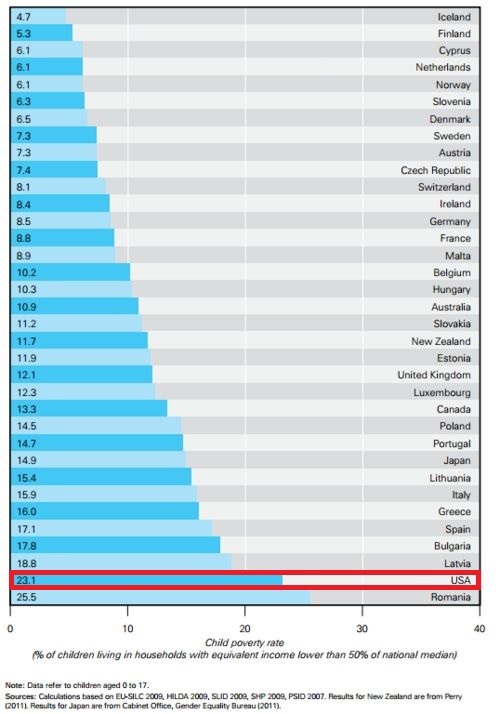 The chart above is from the Global Study on Homicide 2013, conducted by the United Nations Office on Drugs and Crime. I think that all extremism draws back to the root cause of limited perspective and scope for different interpretations of reality. I think most people don’t have the foundational ability to think beyond their own experiences and life position, and differentiate theirs from the millions of nuances that shape those of others. This results in political viewpoints that are merely reflections of the lives and ways of thinking of the viewer, and aren’t the result of anything objective or reality-based. These viewpoints too unfortunately have no prospect of conceptualizing the world in any other way than as it is and understanding issues themselves or various positions on issues that aren’t directly those of the viewer. This deeply-rooted ignorance manifests itself in many shapes and forms, but ultimately I think most ridiculous and extreme political positions can be explained by this. The thing that personally bothers me about this is that most people cant conceptualize growth – and how we concern ourselves and have ridiculous partisan arguments over trivial problems that would solve themselves if we just aimed all our policies at growth. I think your environmental post hits on this somewhat, anti-environmentalists deny things as simple as climate change and their lack of minimal concern for the earth and environment is patently ludicrous – however environmentalists generally lack an understanding of market principles & capitalist growth, and completely fail to see how controlled and measured growth will allow technology to accelerate at a pace that exceeds environmental decay. After reading your earlier comment and this one, I can say that we do share very similar viewpoints. Have you read “The Righteous Mind: Why Good People Are Divided by Politics and Religion” by Jonathan Haidt? He lays out the latest in psychological studies to explain human behavior in these categories. The final chapter includes findings and a viewpoint that I’ve been espousing for at least a decade and usually got blank stares in response. It’s that one’s political and religious temperament is largely genetic (about 40%). Certainly, our parents, peers, experience, choices and cultural environment have significant roles to play in shaping who and what we become. But, each of those elements is dependent upon and restrained by the physical biology that we’re born with. Like height or eye color, our brains are formed and configured in certain ways that limit, focus, motivate and grow our development in the other categories listed above. Can anyone imagine Donald Trump as a touchy-feely poetic mystical grief counselor, in any universe or time period? How many avant-garde painters or musicians truly pushing society forward in experimental ways have ever been very conservative? How many seriously gifted professional athletes have an interest or ability in physics or philosophy? When was there ever a time that a mass movement including a large number of accountants or entrepreneurs gathered together to promote and celebrate far-left ideas like communism or extreme socialism? How often have you heard a parent say that their child was radically different in disposition and character traits in adulthood compared to early childhood? The blank slate idea, that we all come from the womb like empty chalkboards ready to be written upon and wet clay to be crafted purely as desired, is less and less tenable as each decade of interdisciplinary research provides more and more evidence against it. Steven Pinker makes this clear in his widely acclaimed book, “The Blank Slate: The Modern Denial of Human Nature”. The point I’m aiming to make here is that we will never be able to make everyone into political analysts or deep thinkers. Each individual is constrained by their biology which can only be bent and stretched so far. But, a nation of philosophers and intellectuals is not necessary. What’s realistic and needed is for the various talents and sensibilities to be appreciated and integrated into society in productive ways. The kinds of people that came to America were adventurers, pioneers and generally rugged in comparison with average person of the world. We’ve continued to attract the independent, individualistic, self-made men and women from every country of the world ever since. This has created and sustained a particular genetic pool from which a particular type of person keeps emerging. Of course, the philosophical and religious traditions from Europe have also played a large role – Americans have interpreted these legacies in unique ways that have further molded our national posture toward internal and external opportunities and dilemmas. The geography of the United States has played a determining role as well, since the open land full of challenges had made us self-confident and physical as we felt like conquers when many of us survived while an isolation from Europe and Asia by very large oceans made our national character more libertarian. These are actualities that must be accepted before trying to affect change among what in the American mindset and behavior patterns are truly malleable. We are not France, Denmark or Japan and don’t have the necessary traits to become just like them. We can, however, learn from them and attempt to integrate their best qualities into our habits of thought and action. At the same time, there are traditions in our history that emphasize more communal and interdependent aspects of society. Our colonial history did, after all, center around distinct and tightly interwoven communities: pre-1776 New England, New York, Pennsylvania and Virginia, to name a few famous examples. We’ve had labor unions and large scale social programs too. There’s a rich variety of precedents to draw from if needed. We’ll likely always be more conservative, religious and libertarian than the other Western nations, yet we should not overlook the fact that the social conditions in many of those societies in many ways are much better than ours and thus we can decide to significantly moderate our extreme tendencies. We can and should do much better. By those metrics, we certainly are not the greatest nation on Earth, as many on the political right, several in the center and some on the left like to say. Instead, it’s more accurate to say that we’re a great nation with many good and bad things on our track record. 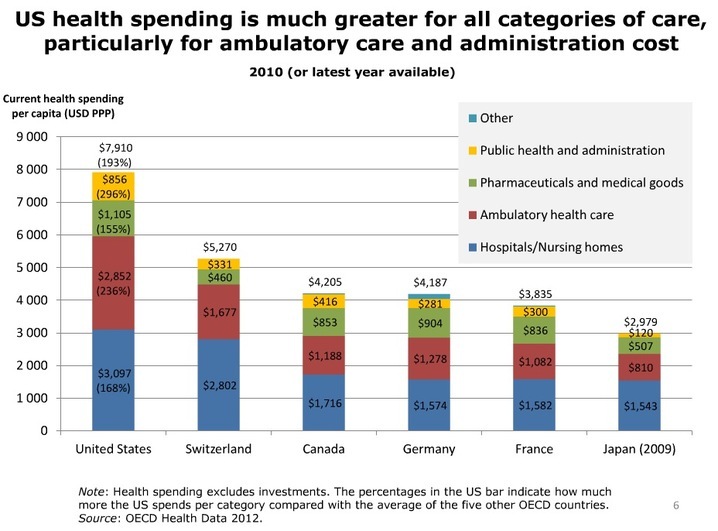 We can improve if we take the data seriously and humbly adjust accordingly. I’m actually from Belgium (over 90% secularism btw.! ), but I follow US politics pretty closely just out of curiosity. I have to say interesting read though! Good job on explaining your thoughts here, and providing data. Also I’d like to point out that your analysis could be made for the EU as well… I find there are a lot of parallels here. Hi Arnout. Thanks for the comment. When you say that you see parallels in the EU, do you mean that the more extremely conservative or liberal the nation is the worse the social ills are? I think that while you do bring up several good points and there are many things that need to be changed in the United States, you are conflating some substantiated ideas into one somewhat coherent one that fits your narrative, like we all do to an extent. You often seem to imply causation from correlation and don’t realize the impact that history plays. Politics isn’t the cause of everything. 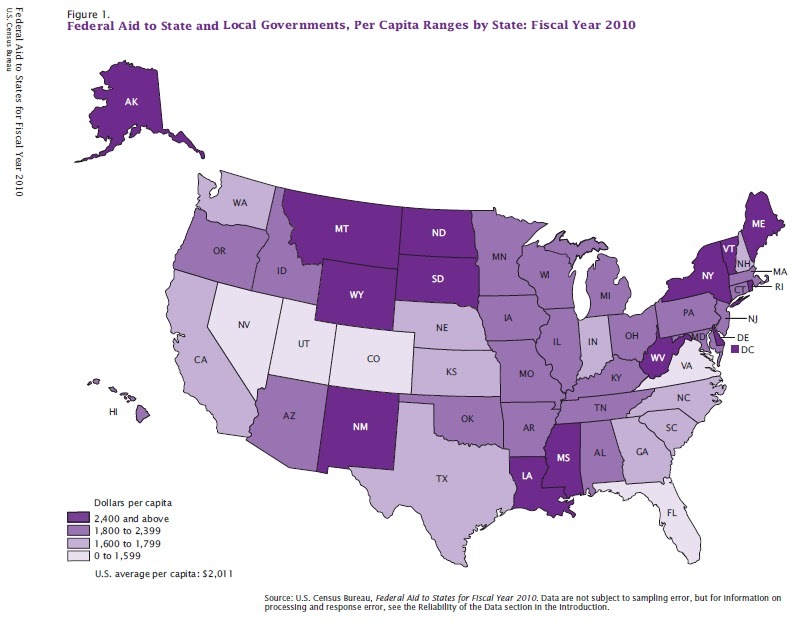 The Southern states have generally been poorer from the start and “lost” a lot of their economic power with the Civil War and the ending of slavery (obviously this should have happened because what matters is content of character as MLK, Jr. said). Also realize that Northern states are generally older and also had been gradually getting rid of the practice for a while. And yes, extremist religious beliefs are not preferable and are the cause of some of the negative effects, but I would add that truly moderate religion doesn’t interfere with politics and thus doesn’t have an effect. Also, in comparing immigrants you are comparing current immigration but fail to see that nearly all of current America is immigrants (beyond Native Americans) and a much more valid comparison would be homogeneity of cultures and people. 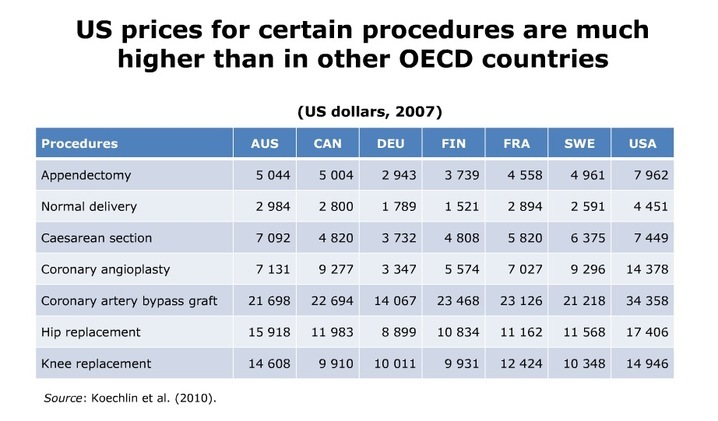 The healthcare industry is tough to explain and I admit to not knowing everything about its implications but I am aware America is for the most part gouged in this market which in some ways allows lower prices in other parts of the world (I do not claim to know how great the effect of this is). Also, it is never almost never a wise idea to get perspective from somebody within a culture and you should take my perspective about America with the same grain of salt as any other person speaking about their country. What matters in this sense is global experience and trying to avoid the filter bubble /confirmation bias so easy to get from the Internet (only hearing similar viewpoints, look this up for more information if unfamiliar with the subject). And yes, I too think the gaps in wealth are too extreme (personally, I believe this is in large part due to crony capitalism and basically regulatory capture, not saying that regulations are bad but they have to be implemented in a manner that takes everything into account) and that there are many things that need to be changed, there are several great parts and things about America as well. I’m from Texas, and I’ve heard about Texas that “If we are not first, we are last” and I think this applies to the nation as a whole in many areas as well. For instance, while student debt is insane and there needs to be some reforms done to education, one also needs to realize there are what I believe to be (on a phone right now so I’m not going to get the most recent statistics) a disproportionate amount of the top universities are in the United States. There are many other sectors neglected that America has going for it, so while I agree much needs to change we don’t need to necessarily throw out the baby with the bathwater and can be more discriminate. Sorry, if this is rambling or anything or has incorrect information but it is just what I have heard and I have learned to try to adjust my understanding based on new information. Also, sorry for not reading the complete post as I probably should be dismissing parts of it somewhat out of hand. For the most part, just trying to give a different perspective since I didn’t see any others here. Thanks for sharing your perspective, Matthew. I’ll consider what you’ve said. If extreme conservatism in religion and politics is so beneficial, as its proponents claim is self-evident, then the South should be in a far better position today – more 150 years after the Civil War. Social and religious conservatives have very often been the defenders of racism throughout American history. For example, both the Old and New Testaments clearly teach that slavery is normative. Related to causation versus correlation, I think that when a very sizable and interdisciplinary group of data accumulates over significant time periods that reveals a similar result, then causation becomes more likely. In the case of what I discussed in the article, there does seem to be a trend occurring. To me, it’s the predictable result of an long-term and excessive focus on hyper-individualism, anti-intellectualism and deregulation. In a lot of ways, Americans are simply less “civilized” than their peers (the other advanced Western nations). Some Americans, often by region and political viewpoint, are less civilized than their fellow citizens, in that they still advocate against important aspects of modern science, the need for universal social programs and the realities of biological and economic interdependence. We all affect each other and cannot escape this. If we can recognize, integrate and implement the best insights from conservatism, liberalism and libertarianism, our living conditions are very likely to improve. As to geography and my life experience, I was born in Texas, lived in California for 13 years, North Carolina for 1, Alabama for 9 and Georgia for 16. Can you be specific, please, and choose 1 or 2 examples?